The move to a new building on Birmingham City University’s City Centre Campus represents the once-in-a-lifetime opportunity for Birmingham Conservatoire to establish its role as one of the major players in higher music education. 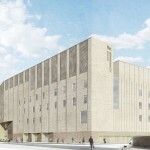 By complementing its current provision with new world-class facilities the Conservatoire will become a formidable competitor among its peers in the UK and internationally. In the increasingly globalised landscape of higher music education Birmingham Conservatoire, unique among the nine British conservatoires, will be able to strengthen and enhance its already excellent educational offer with a vast range of additional resources from the adjacent University campus, and in particular from the other disciplines in its parent faculty: English, acting, media and the visual arts. 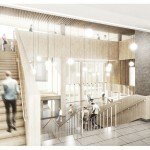 The new building will accommodate the same number of students as the present one – around 650 overall. However, it is expected that the number of applicants for the Conservatoire’s undergraduate and postgraduate courses will grow, especially from overseas. An increasingly selective intake, attracting the most talented students and the very best tutors, will contribute to the repositioning of the Conservatoire on the international market. The Conservatoire is both a provider of higher music education and a public arts organisation, presenting more than three hundred events every year and fulfilling a central role in the cultural fabric of Birmingham. The two dimensions are completely intertwined, and cannot exist in isolation. 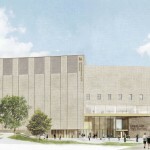 In its new City Centre Campus location the Conservatoire will become the public face of the University, welcoming Birmingham’s audiences to its concert seasons and a variety of other public events, from community and outreach programmes to commercial hiring of its facilities. The new location at the heart of the Eastside ‘learning quarter’ (BCU City Centre campus, Aston University, Birmingham Ormiston Academy, Birmingham Metropolitan College) will stimulate the development of a new and younger audience base. However, the move away from our current neighbours (Town Hall, Symphony Hall, CBSO Centre, The Hippodrome, The Rep) will require considerable effort to maintain established audiences. The design of the new building will take this into account. 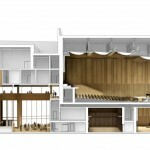 It will be striking and unique, making the new Conservatoire a destination of choice among the city’s various performance venues. It will emphasise the public dimension of the Conservatoire and its role as the interface between the city and the rest of the University’s campus. The new building will be open and accessible to people of all ages and sections of the community. A number of local music organisations will regard it as their home. Among them the Aston Performing Arts Academy, which draws from one of the most socially and economically deprived areas of the county. The new building will also provide a friendly environment to families and children as the home of the Junior Conservatoire, a key provider of high-quality pre-tertiary music tuition to over 250 talented students drawn from all over the region and from a diverse range of backgrounds. The way in which music is taught in conservatoires has seen great changes over the last fifty years. From a narrow curriculum focused on training for the orchestra it has evolved into a well-rounded education enriched with research, pedagogy, community work, entrepreneurship, music technology, non-Western music practices and performance health. The new building will reflect the changing nature of music education by providing staff and students with flexible, multi-purpose spaces that can be easily adapted to different needs. One-to-one and small group teaching will take place in teaching studios of different sizes, equipped with grand pianos and audio-video recording and streaming facilities. 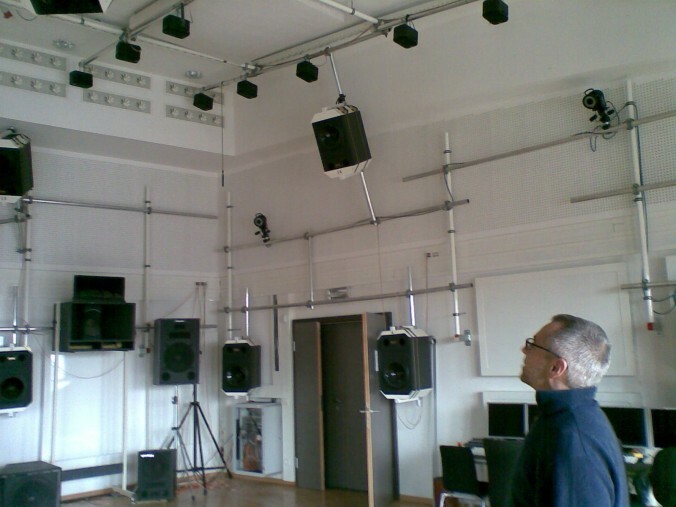 To provide the best possible student experience all teaching studios will adhere to stringent acoustic insulation and sound absorption standards. The larger rooms will have higher ceilings for better sound diffusion. Instrumental and vocal practice, the staple of conservatoire education, will take place in dedicated rooms: fifty individual small practice rooms, twelve medium-sized practice rooms for one to three people, twelve ensemble rooms for chamber music and high sound pressure level instruments, and nineteen specialist practice rooms for piano, organ, percussion, harp and jazz. 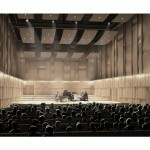 All rooms will be acoustically treated and optimised for the different sonic characteristics of the instruments. Public music performance will be at the heart of the new Conservatoire. The new building will contain three main performance venues, all exhibiting the highest standards in acoustic design to compete with other existing facilities in Birmingham. A 500-seat concert hall to replace the Adrian Boult Hall, a 200-seat hall to replace the Recital Hall, and a 100/150-seat flexible venue for jazz and other music genres to replace the Arena Foyer. A small organ studio (to be used also for piano masterclasses, chamber choir and early music) and a small ‘black box’ space for experimental composition, electronic music projects and non-Western music practice (including our historical collection of Balinese gamelans) will complete the provision of performance spaces. 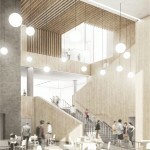 A large, multi-level foyer area with café/bar facilities will provide access to all the performance venues and a spatially interesting meeting place for students and audiences alike. Birmingham Conservatoire prides itself in being a caring and nurturing environment. It is an international artistic community where talented students are challenged to achieve their best but can also experiment freely to broaden their creative horizons in a safe environment. Continuous and meaningful interactions among peers and between students and staff are essential for creativity and innovation to thrive. In the new building social interactions will be encouraged by providing several open spaces full of natural light on all levels. These areas carved out of circulation space will allow students to meet and relax, providing a welcome change from hours of solitary practice. Building on its strengths in music technology and research the new Conservatoire will feature a pervasive digital infrastructure to support innovative pedagogy models, including state-of-the-art digital audio and video recording, and specialised rooms for low-latency distance learning and live broadcasting and streaming of concerts, workshops and masterclasses. Direct digital connectivity from Conservatoire venues to the adjacent Media Centre in the Parkside building will ensure access to the University’s outstanding media facilities. A modern and well-stocked music learning hub will provide students with all the resources needed for their studies: instrumental and orchestral scores and parts, catalogues, reference books, CDs, DVDs. The hub will include dedicated media booths, computers and a silent study area. It is expected that large lectures for full-year groups (100+ students) will be delivered in a lecture theatre on the University’s campus, while movement and acting classes for singers will be delivered in the School of Acting’s facilities in the Millennium Point building. Learning from the experience of the University’s Parkside and Curzon buildings the new Conservatoire will be another example of environmental sustainability for the HE sector. The specialist nature of the building will make it more challenging to achieve ambitious environmental targets, opening the way to innovative solutions that can potentially be replicated elsewhere. It is a glorious afternoon in Rome. The sun bathes the old buildings in a suffused light. Together with my brother I’m climbing a long, narrow marble staircase in an ancient palace. When we arrive at the top, an open door leads us into an elegant apartment overlooking the roofs of the city. There is a black upright piano by the French doors. Swallows dart across the blue sky. Igor Stravinsky is at the piano, waiting for us. We sit next to him and listen, while he tells us about the music he’s writing. Then he plays softly an unusual sequence of chords, thirds in both hands. 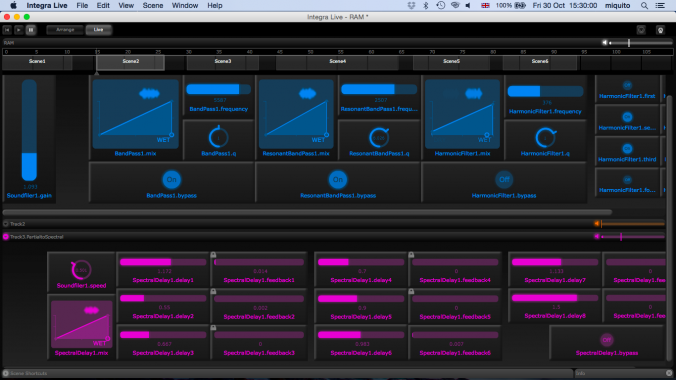 I am overwhelmed by these sounds. He talks some more, his hands waving in the air. After a while we leave, and the beautiful, pungent harmony is forever etched in my mind. On the last day of February I was in Toronto, to take part in the performance of Julian Anderson’s Book of Hours with the Toronto Symphony Orchestra. Together with Andrew Staniland, currently composer in residence with the orchestra, we looked after the electronics of the piece. Everything went really well, and the work was enthusiastically received. The conductor was Oliver Knussen, and the programme also included works by Mark-Anthony Turnage, Gary Kulesha and Simon Bainbridge, all present at the concert, and at the dinner afterwards, in a fancy Italian restaurant by the telling nome of Grano (wheat). Grano is much more than just a restaurant, it is a stage for the Toronto artistic and cultural scene, under the amiable supervision of the owner Roberto. The concert programme was quite peculiar: apart from Gary Kulesha, who is Canadian, the conductor and the other three composers were British. They also had in common the same composition teacher, John Lambert. When Olly described the qualities of his teacher I was immediately reminded of my own composition teacher, Azio Corghi. Both Corghi and Lambert’s students have vastly different musical styles, and they have all been able to develop their own original voice. Far from promoting a school or a house style, Lambert and Corghi seem to have been more keen on perfecting their own type of musical maieutics. They help (or helped, in the case of Lambert, who died in 1995) the students to find their own voice, without trying to impose any aesthetic or artistic rule. It is not an easy way of teaching, because, in true Socratic spirit, it forces the teacher to look at things from the pupil’s perspective. Gifted artists like them have devoted a great part of their life to teach the younger, limiting their own creative output in order to pass on their knowledge to the next generation. From them we learn a profound moral lesson, not just an artistic one. We write music because we feel compelled to do it, not because of some external reason or demand. Or do we? The role of inspiration, and what can be defined as inspiration in composing music, has been debated extensively. The truth is, we cannot separate external influence from inner compulsion. Throughout the history of music, the most successful composers have been the ones that have managed to tune their creative impulse to the needs of the outside world. As far as creative output is concerned the outside world is a strange mixture of elements, where the expectations of patrons, commissioning bodies, influential friends and colleagues coexist with an imagined audience and the public projection of a composer’s self-created artistic image. All these elements come to play in the mind of composers as potential influencing factors, and affect their work more than they would like to admit. We should then rephrase the first sentence like this: we write music because we want to communicate with the world. What is the chosen channel for this communication? If you are a smart composer, alert to the changing world around you, you will know already that the zeitgeist doesn’t inhabit concert venues programming ‘contemporary music’ works. It is to be found instead in some sort of team endeavour – a movie, a theatre production, a multimedia installation, a site-specific event, where your music becomes part of a wider artistic venture, a complex cultural product of our time, reflecting the interconnecting nature and the infinite resonances of our mostly mediated experience of reality. You have then become a content provider, a sharp operator in a increasingly undecipherable world, carving small slices of meaning by interacting with other media, other forms, and with the unavoidable, ubiquitous technology we try so hard, often so helplessly, to keep under control. A role for contemporary music? At the beginning of last summer György Ligeti left us. What struck me most, after the inevitable sorrow for the loss of another great musical mind, was the almost complete lack of notice given to his death outside the narrow world of so-called contemporary music. Throughout the history of music there have been composers wishing to give their art a cultural status comparable to literature, or philosophy. In more recent times composers as diverse as Luciano Berio and Pierre Boulez have made a considerable effort to raise the profile of musical thought, and bring it into the mainstream cultural debate. There are inherent difficulties with these commendable attempts: intellectuals the world over are not, in general, well versed in music and compositional theory. This is obviously the result of a formative problem – music is not part of the standard education curriculum. More problems are posed by the special language – notation – that music uses, and its tenacious resistance to be apprehended and described by words alone. A good indicator of this situation is the negligible amount of citations and references to ‘contemporary music’ sources (the actual scores) and composers’ writings in essays on modern culture. Lively, alert and informed people, interested in contemporary arts the world over, will know a lot about the latest movies, the latest books and essays, the latest exhibitions and even the latest plays, but very seldom they will know about or attend ‘contemporary music’ concerts. For them, music is a form of pleasure rather than an intellectual activity. In their experience the music space is already well stocked with the various declinations of pop, rock, jazz, world and urban music, or even with the museum of classical music. In our eye-dominated world, where visual media condition to a large extent our perception of reality, music becomes naturally the soundtrack of our own existence – the constant background to other, more prepotent eye-driven events. This ancillary role is exactly what so-called contemporary music tries to fight against, advocating for music an autonomous status. In his 1995 article, Dei suoni e delle immagini (“Of Sounds and Images”), first read when the University of Siena awarded him the degree honoris causa, and later reworked as one of the Six Norton Lectures on Poetry ( Remembering the Future, Cambridge, Harvard University), Berio tries to defend the autonomy of the ear and its predominance on the eye. 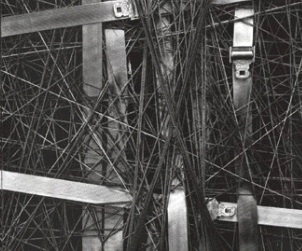 It is telling that Berio identifies music theatre – opera – as the one area where music still has the power to be in control, generate the dramatic structure and influence all visual and narrative elements. Music theatre is inherently a ‘dirty’ playing field, where visual and musical elements merge and interact in unpredictable ways. As much as composers wish for music to be in control, planning carefully every element of the show, it will be almost impossible to avoid the predominance of the visual element. Berio’s wishful thinking is shattered against the hard facts of human perception and cultural conditioning. 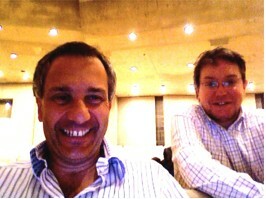 Moreover, opera is a team enterprise, where the composer is but one of the authors. Berio’s quarrels with directors and stage designers became proverbial, showing the difficulty of maintaining control – à la Wagner – over everything. Role specialisation in today’s theatre and the refinement of available technologies make it altogether impossible. It is also presumptuous to think that one person – the composer – can be at the same time the librettist, director and stage designer of his/her operas. Karlheinz Stockhausen’s own unsatisfactory results should rest my case. But then, if even music theatre cannot be the vehicle of musical thought, what is left to us? Precious little, I’m afraid. We have to accept that the incomparable depth and richness found in contemporary musical thought is lost to the cultural debate, and belongs to the kind of esoteric endeavours that never go past the narrow confines of ‘contemporary music’ circles. The relationship between composer and audience today is a strange one indeed. More to the point, is there an audience at all for so-called contemporary music? We need to be honest about it: the audience is disappearing. This is not something to worry too much about: it is only the natural consequence of the demise of the social role and status of contemporary classical music, and the related changes in music fruition and delivery. The music critic, another element of the traditional concert ecology, is also silently fading away, a powerless casualty of this evolving situation. As a musician, I’m principally interested in live performance. The magic dimensions of a public concert is what we should care about: the ritual offering, the virtuoso display, the theatre happening on stage and the risky, adventurous nature of a live concert performance are a precious gift to all of us. But without an audience, live performance cannot survive. We already experience live performance without having to attend a ‘contemporary music’ concert: how do we convince our potential audiences that they are missing something that can’t be found elsewhere? Or, reversing the question, when was the last time you cried at a ‘contemporary music’ concert? One obstacle, first brought to my attention by Peter Johnson, Head of Research at Birmingham Conservatoire, is the lack of a performance tradition for the vast majority of contemporary works. They are performed a few times and almost never recorded to the standards of a commercial release. They often include specific parts for specific performers, making it impossible or very difficult for other interpreters to tackle the works. A second related problem is the performers’ knowledge of the piece. How deep can your interpretation go if you are learning the piece for the first time and perform it only a few times? Compare this with the intimate relationship over the years, indeed over a lifetime, that most performers build with the classical music repertoire. A third problem is the nature of ‘contemporary music’ micro-market: the ratio between sellers (the composers) and buyers (the performers and the audiences) is incredibly skewed towards the former. The late Stephen Jay Gould had a very original interpretation for justifying this state of affairs, what he called the right wall of human achievement: in a society that favours innovation at all costs, there comes a time when the relative advancement of an art form, say music, becomes smaller and smaller, until it is imperceptible. Current literature on audience numbers for ‘contemporary music’ concerts and audience development strategies are often enthusiastic, but, I’m afraid. always misleading. I’m referring here to the UK state of affairs, but the main argument could be applied equally well to French or Italian audiences. I would like to correlate the number of composers writing music today with the amount of people listening to their music. My impression is that the composer/audience ratio is dwindling ferociously, rather than expanding. The reason for this is probably a steeper pyramid, with few composers getting a lot of attention from the niche audiences of “contemporary music”, and a plethora of less well-known composers that remain virtually ignored.